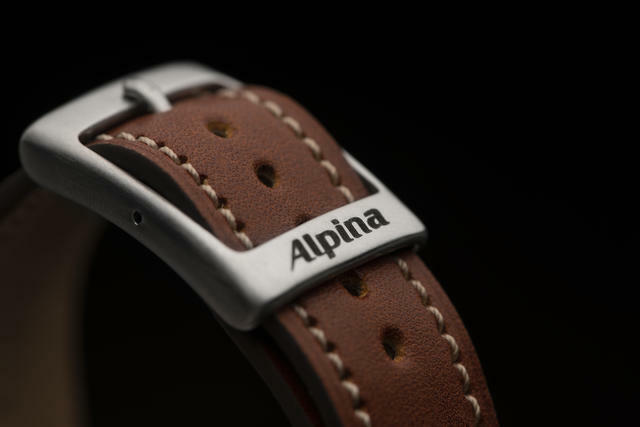 Alpina adds a new watch, in four different color options, to its Startimer Automatic collection, an attractive aviation-focused group of high-value automatic pilot models Alpina has offered since 2011. 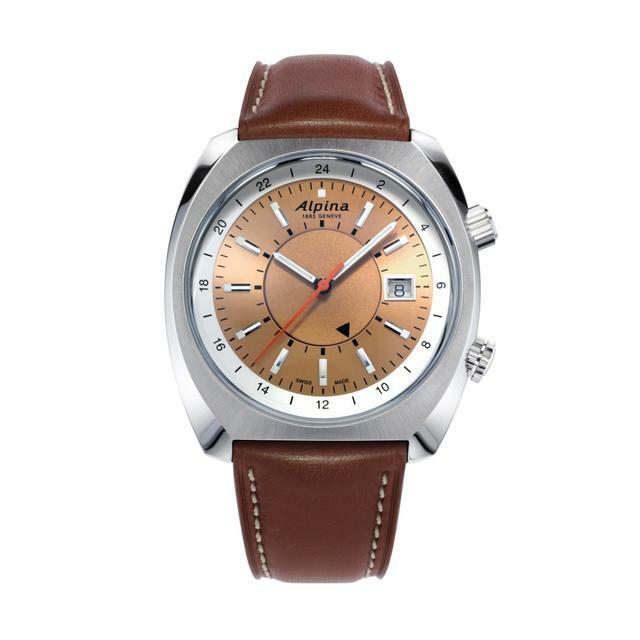 Like all cockpit-worthy aviator watches, the new retro-design collection resists shocks, is equipped with an anti-magnetic shield and is easy to ready thanks to its large luminous hands and markers. 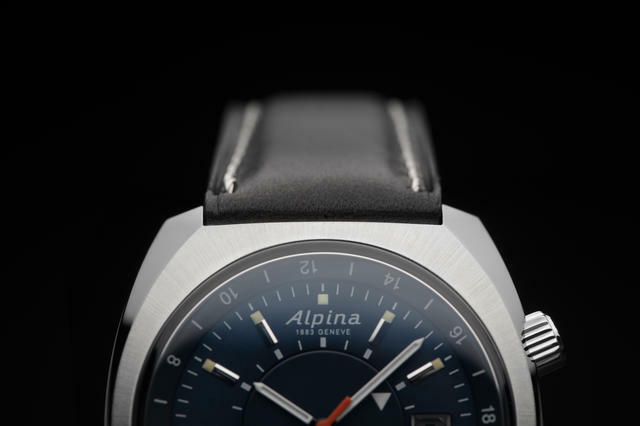 Alpina's new Startimer Pilot Heritage, offered in four colors. 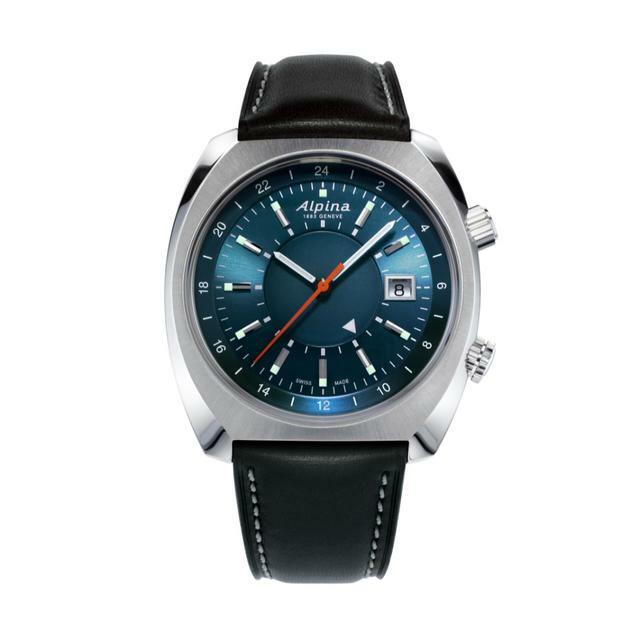 The latest Alpina Startimer Pilot Heritage watches boast a GMT function via an internal rotating bezel. 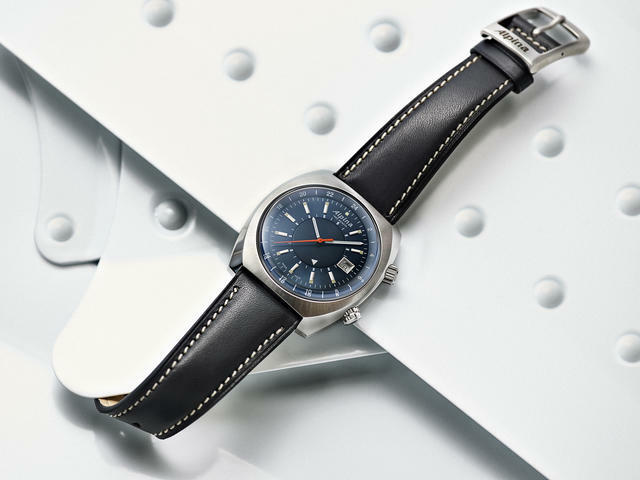 The new cushion-cased pieces will recall sport watch designs, and even colors, from the 1970s. 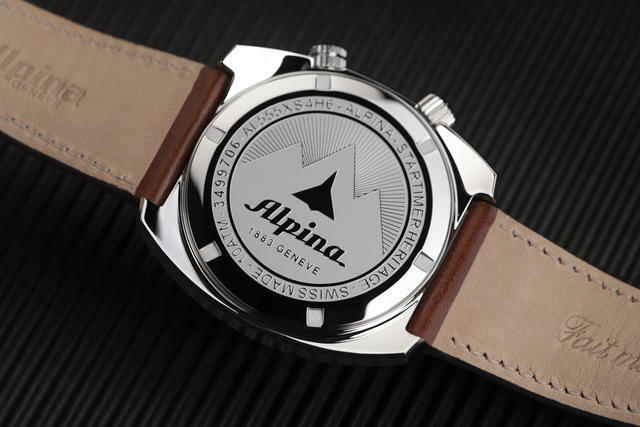 The steel, cushion-shaped cases measures 42mm by 40.75mm and features a sapphire crystal and an engraved caseback displaying the Alpina logo. Each of the four options is powered by an automatic caliber offering a 38-hour power reserve and water resistance of 100 meters. The dials here are a design highlight. 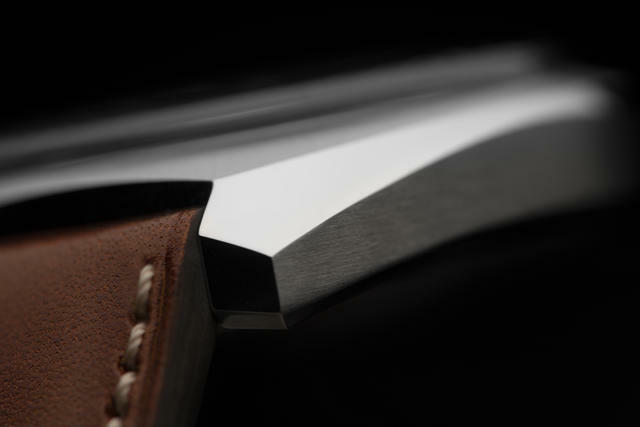 Each displays polished white and black color hands, hours and minutes featuring an orange seconds hand, date and internal rotating bezel. 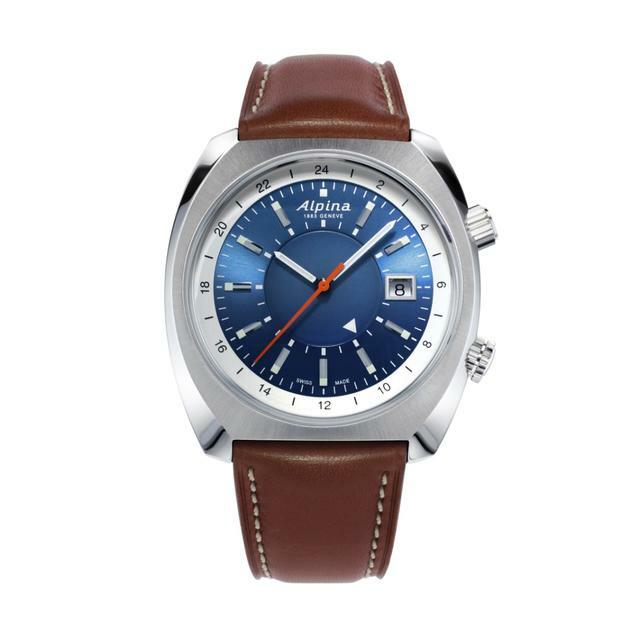 Available dial colors include copper, light blue, dark grey and dark blue, all with silver indexes and SuperLuminova treatment. Price: $1,395.